"Standing outside the Moonflower Massage Parlor with three other girls, Lotus flashed her red smile at every passing man. She leaned against the glass front of the parlor, one leg bent like a crane's. Luring in the clients with sweet and oily words consumed a surprising amount of energy'Reserved, at times defiant, Lotus is different from the other streetwalkers. Her striking eyes glow under Shenzhen's neon lights, capturing the attention of Funny Eye, Family Treasure, and a slew of other demanding clients determined to make Lotus their property. Choosing between wealthy, powerful, and dangerous men is no easy feat, but it is a surprising offer from Binbing, a soft-spoken and humble photo journalist, that presents the biggest challenge. Is Lotus willing to fall in love? 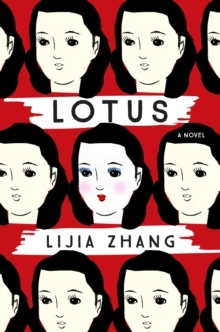 Is she capable of it?Inspired by the death bed revelation that the author's grandmother had been sold to a brothel in her youth, Lotus offers compelling insight into China's bustling underground world and reveals the surprising strength found in those confronted with impossible choices. Written with compassion and vivid prose, and packed with characters you won't soon forget, Lotus examines what it means to be an individual in a society that praises restraint in and obedience from its women.